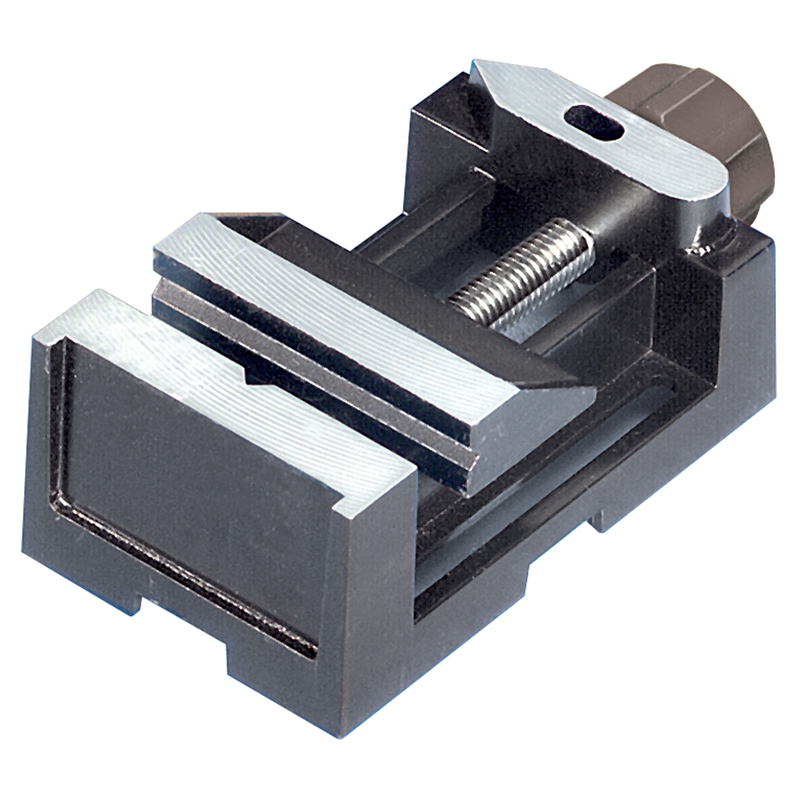 Grooved base fits on MicroLux #81631 Standard Duty Drill Press sliding gauge or mount with clamps to #82389 X-Y Table. Made of cast aluminum with easy grip plastic knob and steel screw. Jaws are 2 inches wide with grooves for holding round stock. Also has a handy anvil top with a cast-in hole for supporting micro size parts while drilling. Jaws open to 1-1/4 inches.